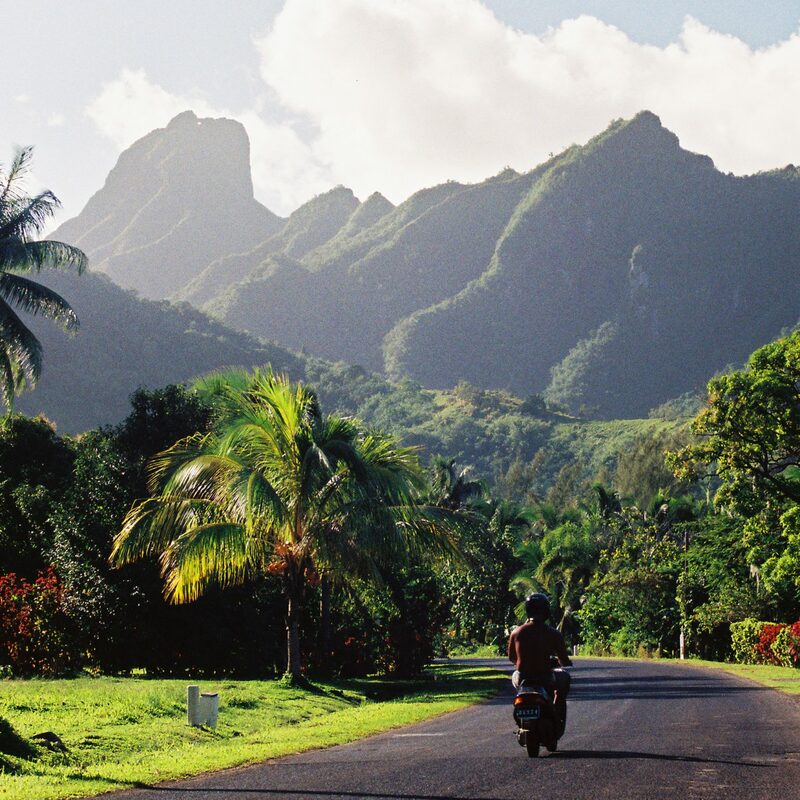 Forget about in-room mini-bars and butler service. 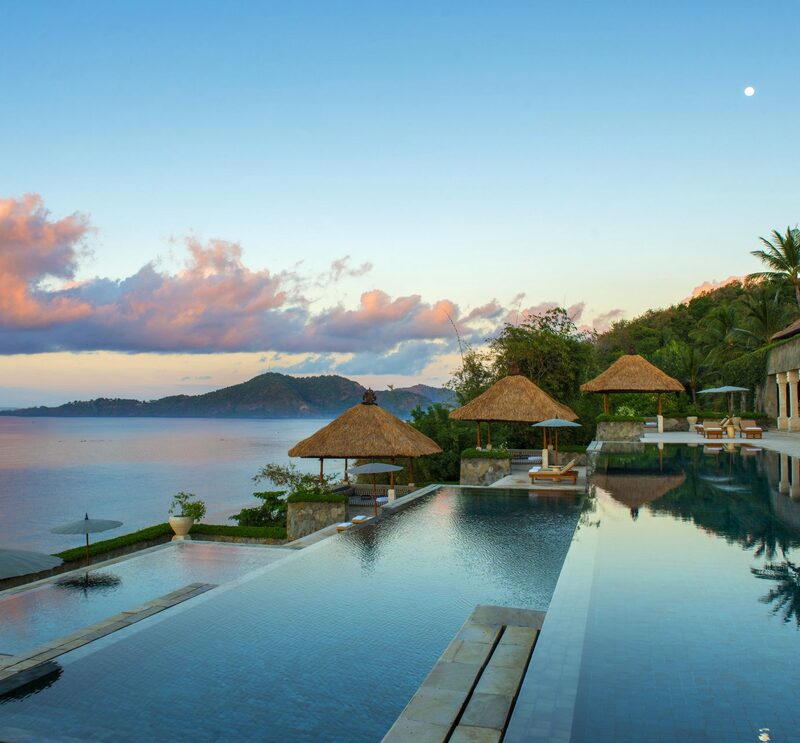 At these 12 hotels, the spas are worth the room rate alone—we're talking infinity pools, relaxation lounges, and indulgent treatments that leave you more rested than when you arrived. Red-tiled roofs. Tiled mosaics. Statement archways. 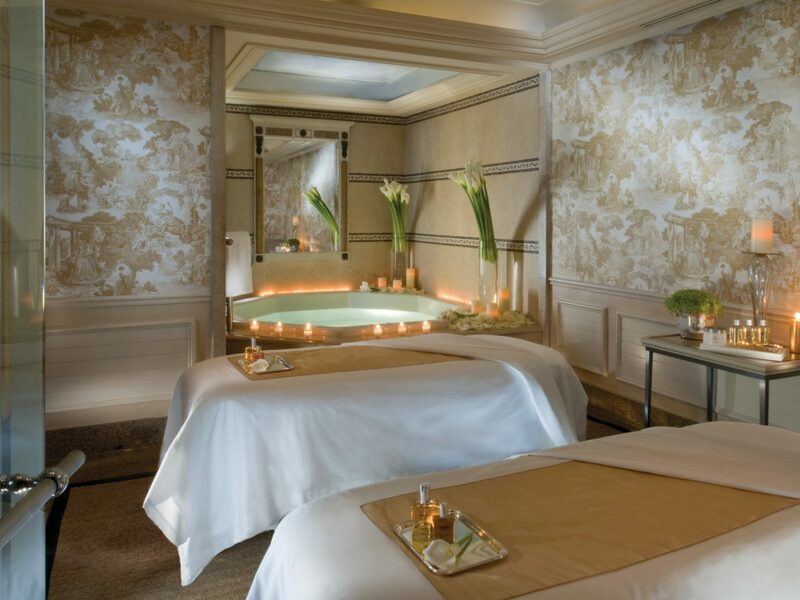 No, this isn’t Marrakech: this is Spa Montage, the two-level, subterranean oasis inside downtown LA’s Montage Beverly Hills hotel. The space is massive— 20,000 square feet containing 17 treatments rooms, a sky-lit mineral pool, and an herbal steam room and redwood sauna—but its best selling asset? 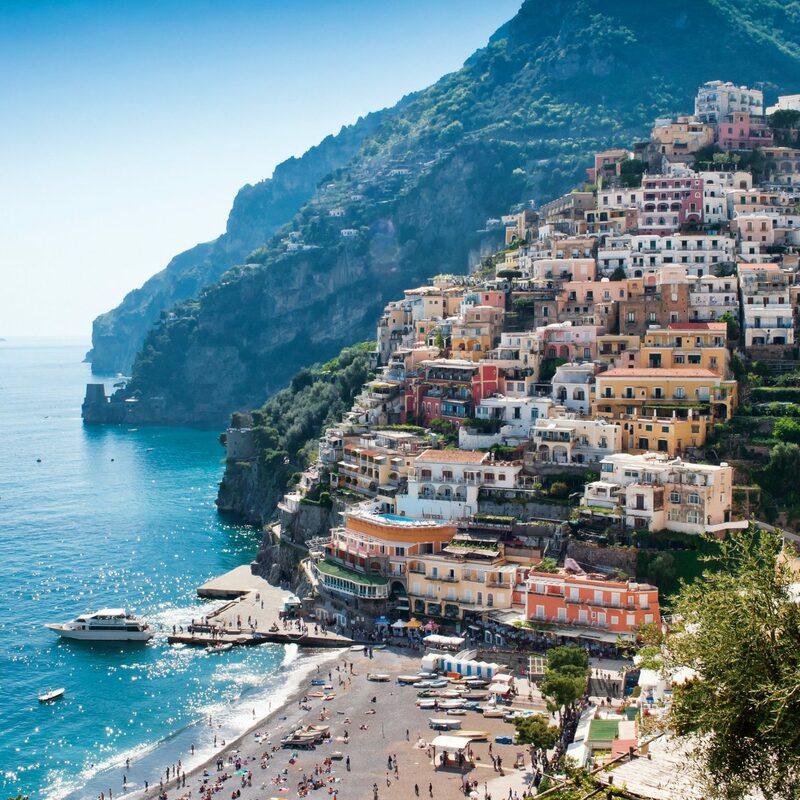 It’s the only West Coast spot to feature products by sought-after Swiss skincare brand L. Raphael, which are famously used in anti-aging oxygen facials. Cap off the beautification with a primp at the onsite flagship salon of celeb hair stylist Kim Vo. 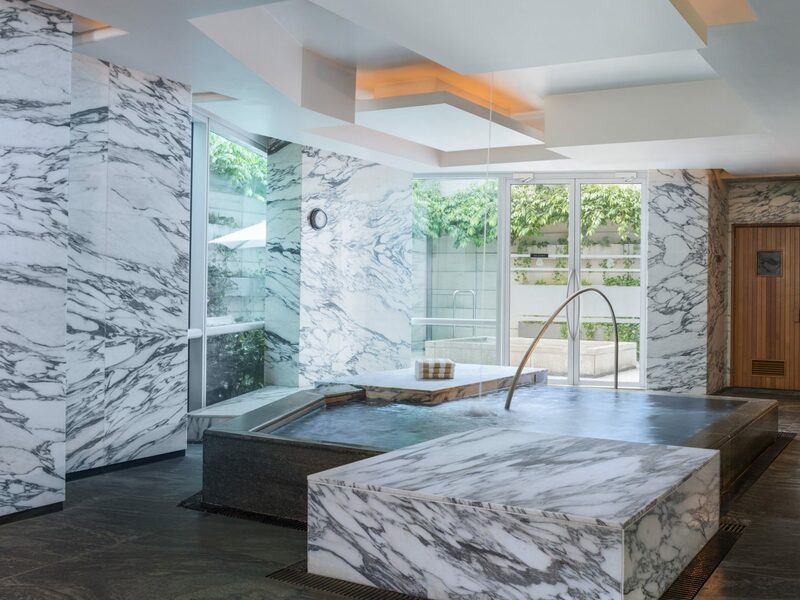 You’ll feel like you’re floating inside the spa at the Mandarin Oriental New York, a 35th-floor aerie with floor-to-ceiling windows overlooking Central Park, with six treatment rooms, men’s and women’s plunge pools, steam chambers decorated with purple crystals, and a serene tea lounge. 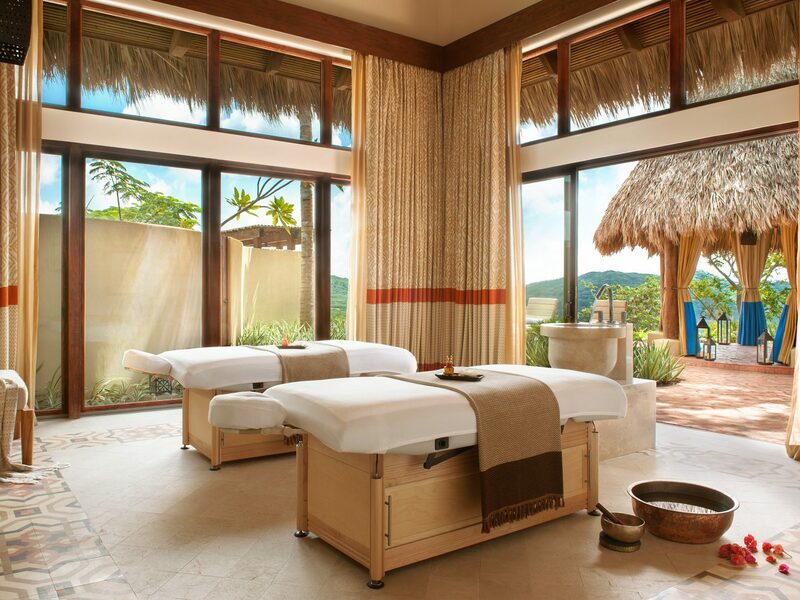 The services are top-notch and Asian-inspired, and guests consult with a therapist before deciding on personalized treatments like chakra balancing, acupressure, or Ayurvedic skin massages using Himalayan salts and essential oils blended specifically for this location. 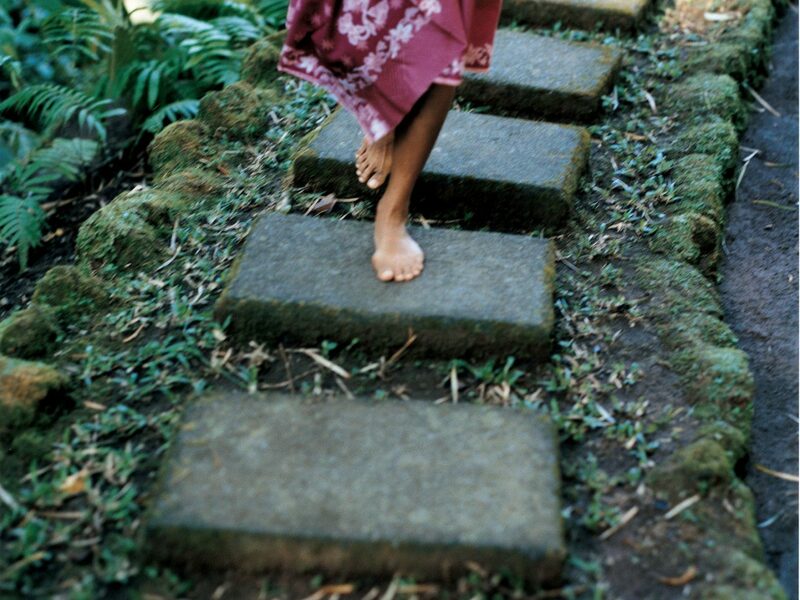 Are you a developing yogi? 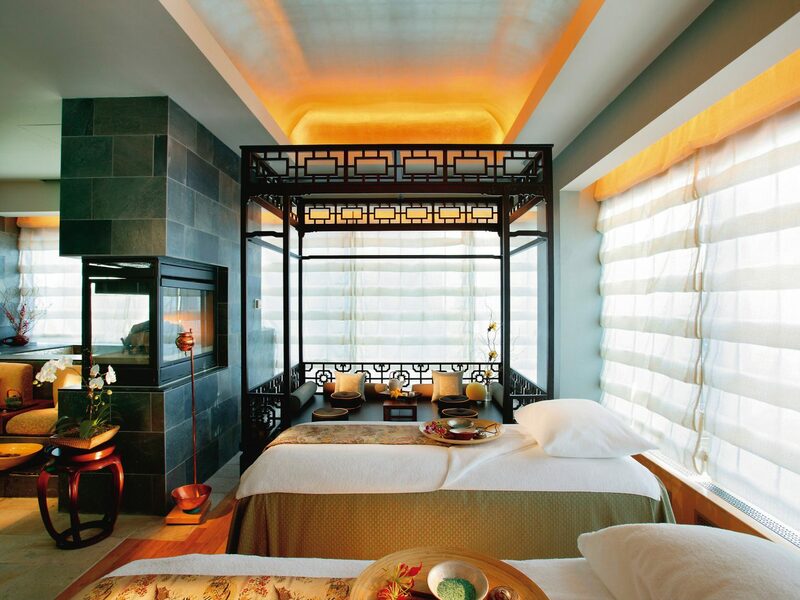 The Thai Yoga Suite is set aside for three-hour experiences involving a 20-minute herbal bath. 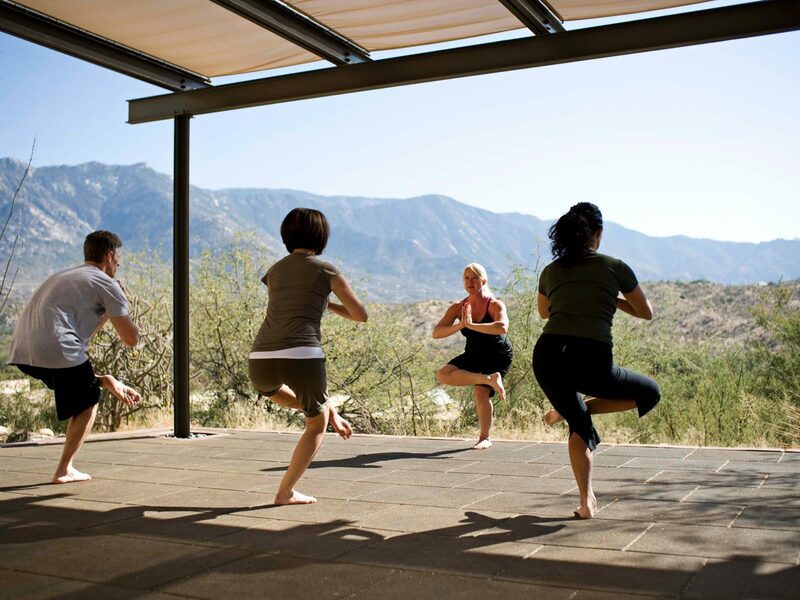 Miraval was a pioneer of wellness when it opened in 1995, and it’s showing no signs of slowing down. 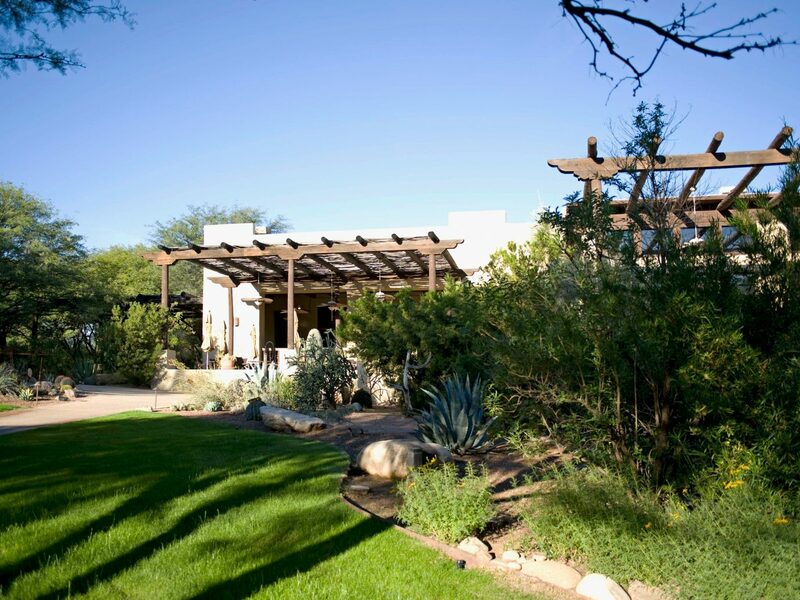 The stark Sonoran desert sets the stage for treatments aimed at healing the body and spirit, where a relaunched Life in Balance spa features six tents styled by designer Clodagh and offers a unique menu of massage services like Näga (which uses silk strands and gravity) and Chi Nei Tsang (which works the digestive system). But this isn’t your average detox: food portions are unlimited and alcohol is served, so you can spoil yourself—or not—at will. 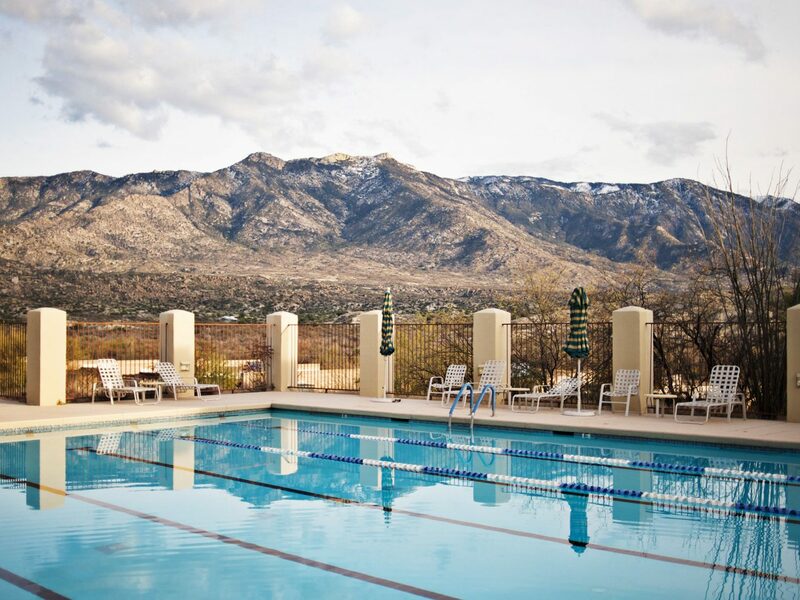 After an afternoon spent juggling classes on dance fusion, Pilates, or horse grooming (said to ease fear and frustration), guests are encouraged to retreat to their casita-style rooms for a dip in their soaking tub. 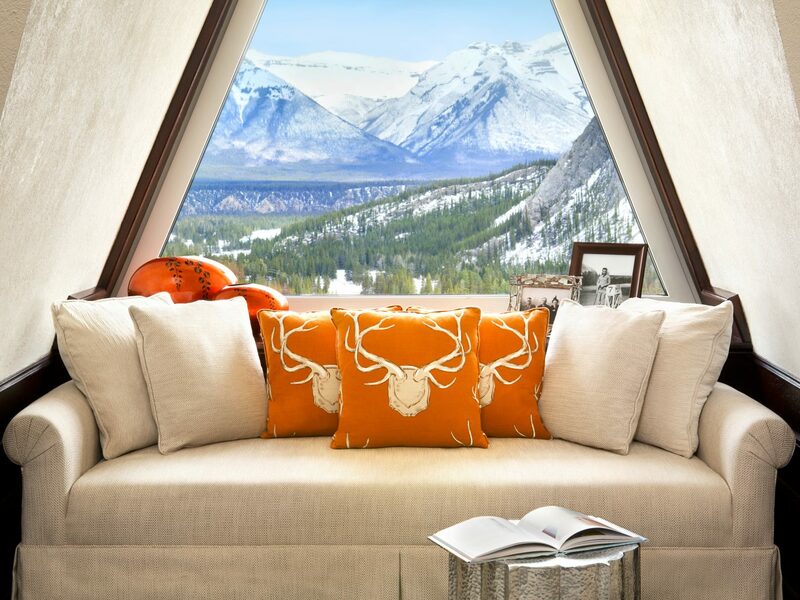 “Immersion” is the mantra of North America's oldest destination spa, which requires a three-night minimum stay and personalizes every hour according to your tastes and wants. Hoping to jump-start your Fitbit log? Guided hikes crisscross the property’s 3,000 acres of desert grasslands, meadows, and landscaped gardens. 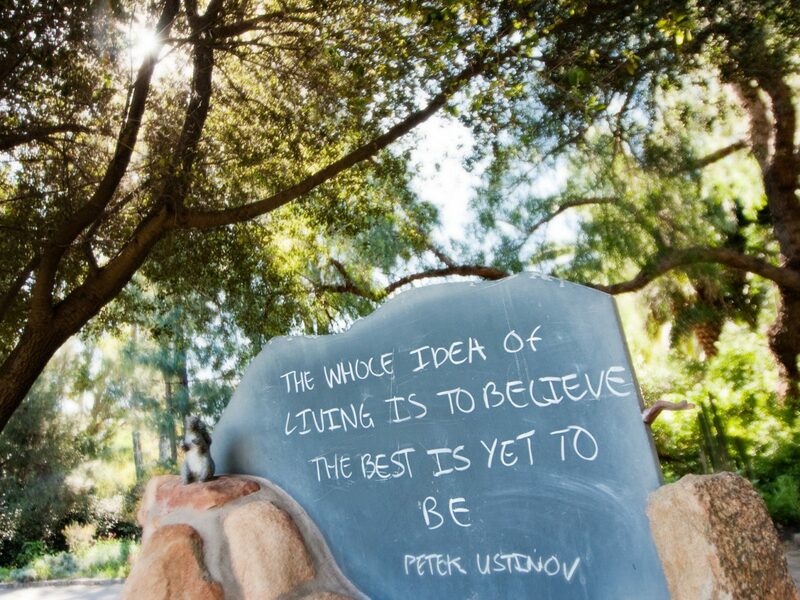 Interested in learning something new? Daily classes include gardening, jewelry making, and painting. Looking to de-stress? 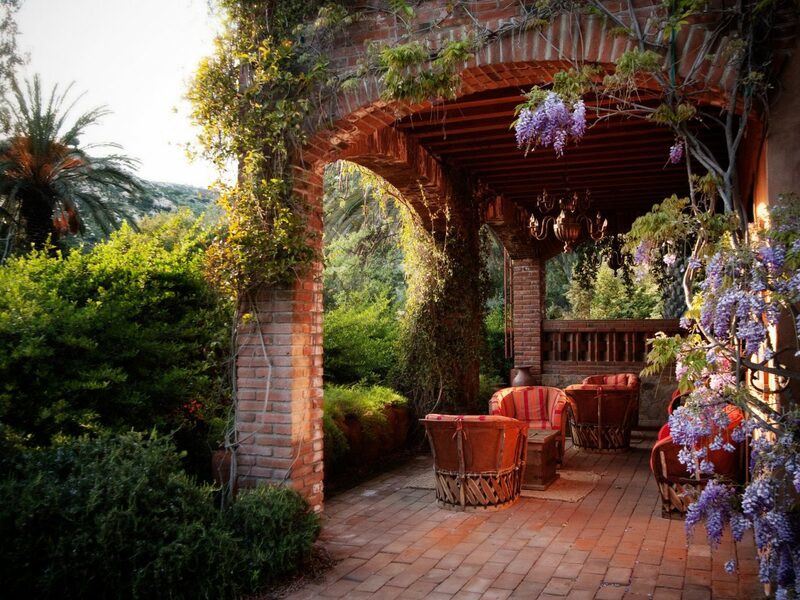 Acupuncture, hot river-stone massages, and seaweed body masks are all performed in redbrick casitas, while a meditation labyrinth helps silence the mind. And if come for the food, you're in luck: meals are hyper-fresh and primarily vegetarian, incorporating ingredients from the onsite organic garden and nearby farm. 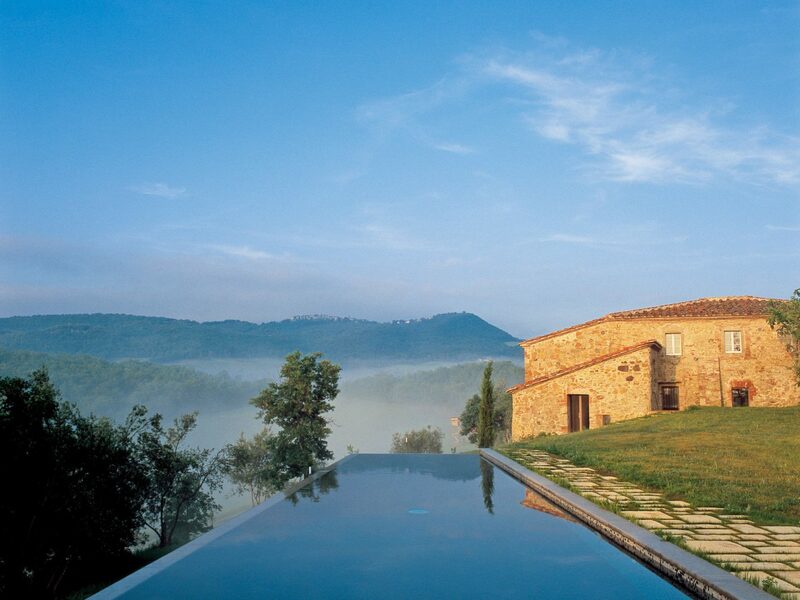 When Daniel Craig and John Travolta are in need of a tune-up, they head to COMO Shambhala Estate, the poster child of wellness retreats. 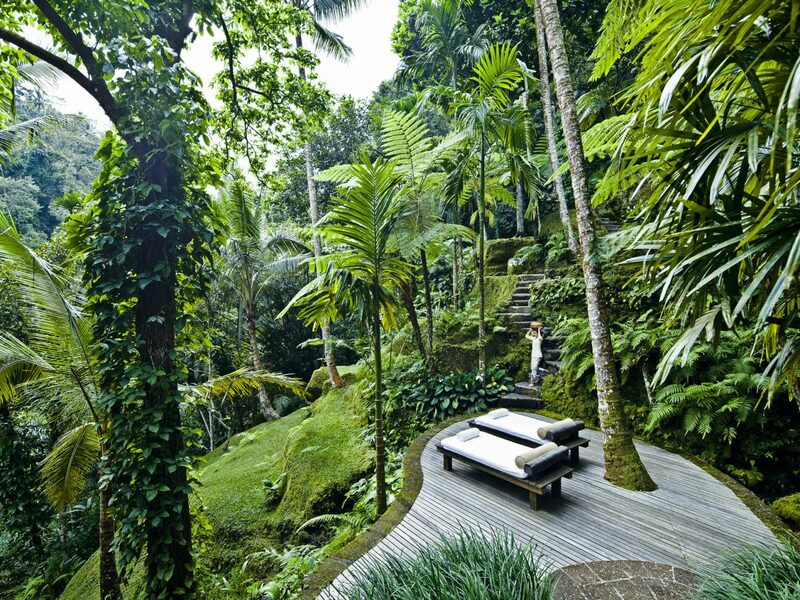 Set on 23 jungled acres near Ubud, Bali, this sanctuary is a mecca for spiritual awakening: think nine treatment rooms, a yoga pavilion, a climbing wall, an alfresco gym, and a vitality pool fed by a nearby spring—not to mention a resident psychologist, Ayurvedic doctor, and nutritionist all on hand to lend their expert advice. 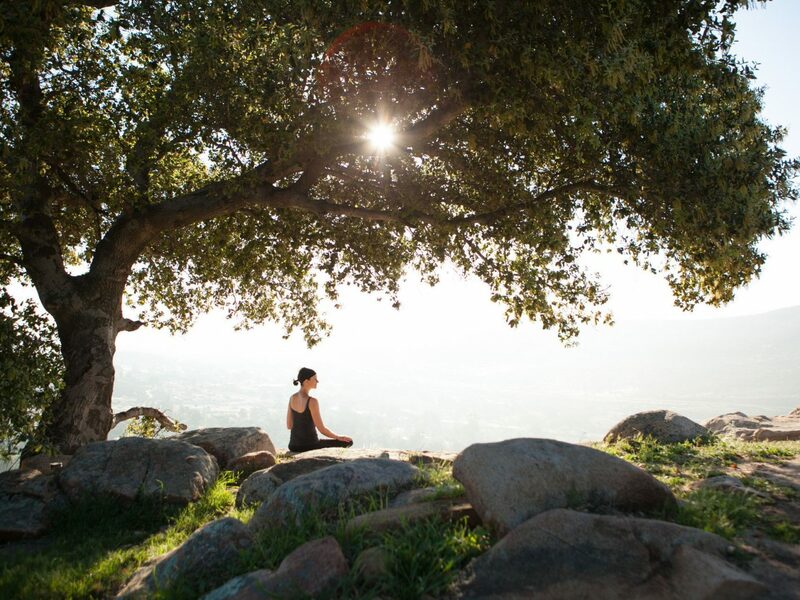 After hiking or mountain biking through the property’s lush surrounds, guests are treated to personalized meals prepared according to their dietary needs, and in the company of chanting Hindu monks. 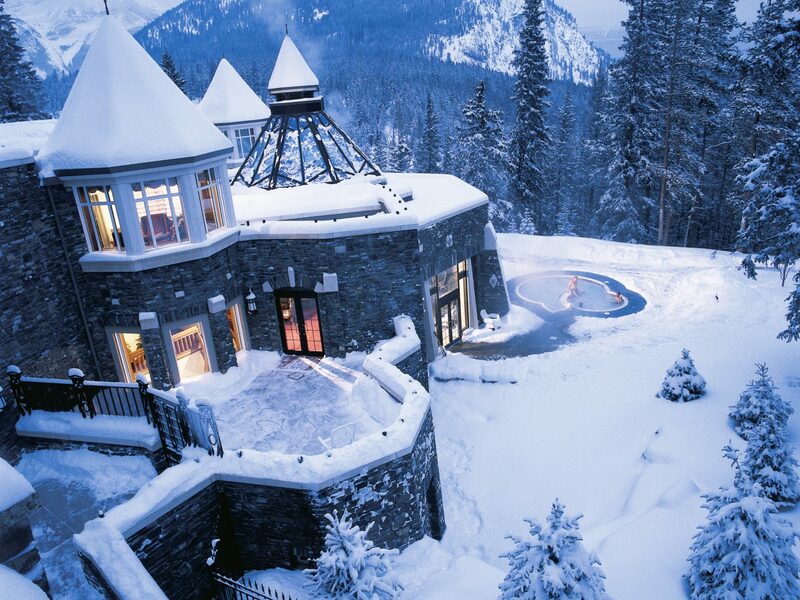 This 1800s “Castle in the Rockies” capitalizes on its glacial valley address at its Willow Stream Spa, whose three mineral pools are fed from surrounding hot springs and where signature hydrotherapy treatments are a cure-all for counteracting the altitude (not to mention an indulgent way to take in the snowy landscape without succumbing to the cold). 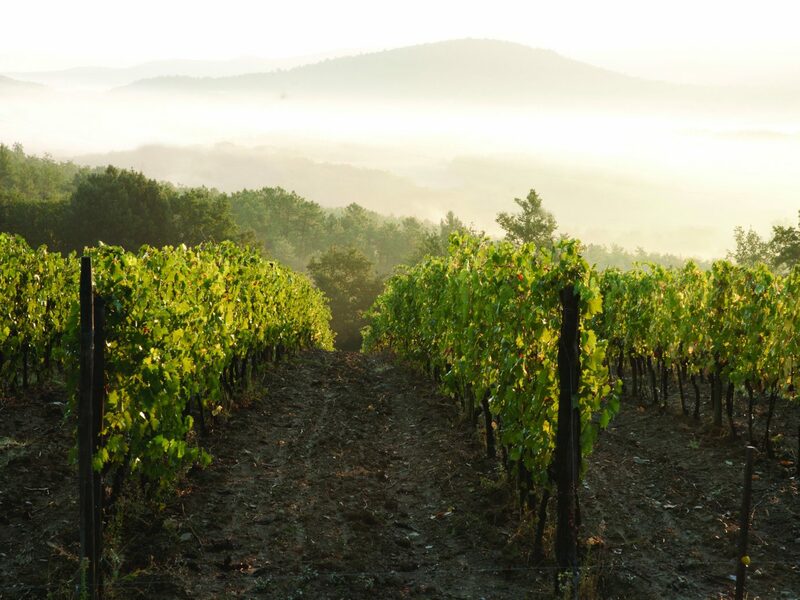 Those who’ve come to take advantage of golfing or skiing can also choose from a menu of sport-specific services, while guided hikes venture from the area's more popular trails. 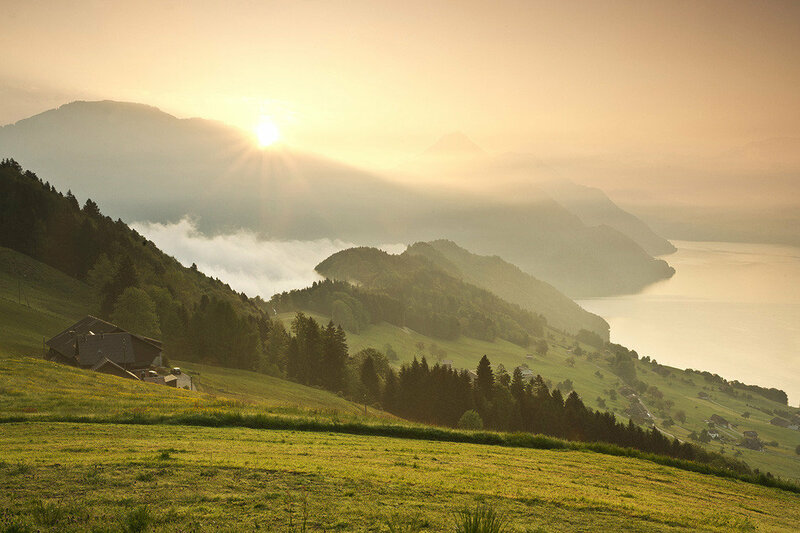 This relatively under-the-radar Gustavian–style sleep in Switzerland was thrown into the spotlight following a viral video of one visitor entering its infinity pool after dark. 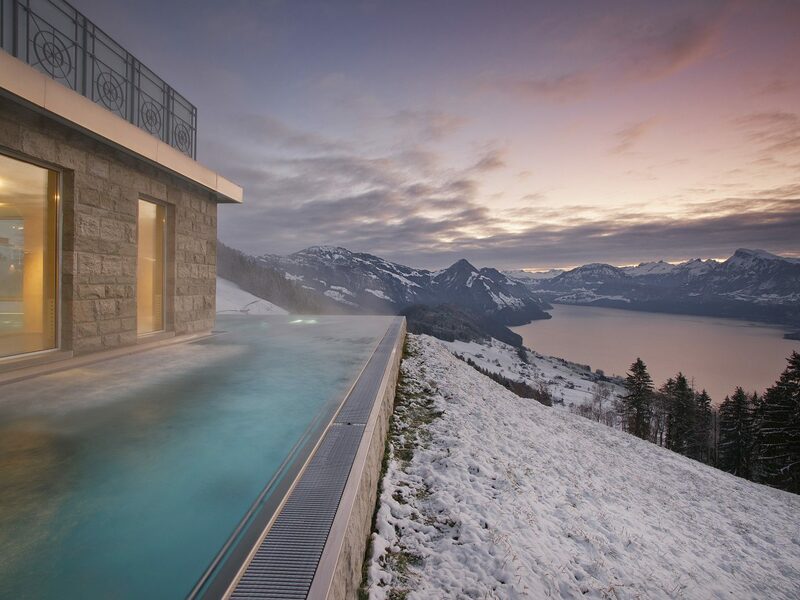 The 24-hour indoor-outdoor pool, whose exterior offers a sweeping glimpse of Lake Lucerne and the surrounding snowcapped mountains, is indeed stunning, but there's more here than just a view—including a built-in whirlpool, a 20-seat cinema, and 23 alpine-chic rooms done up in materials like timber, stone, and leather, which echo the surrounding landscape. 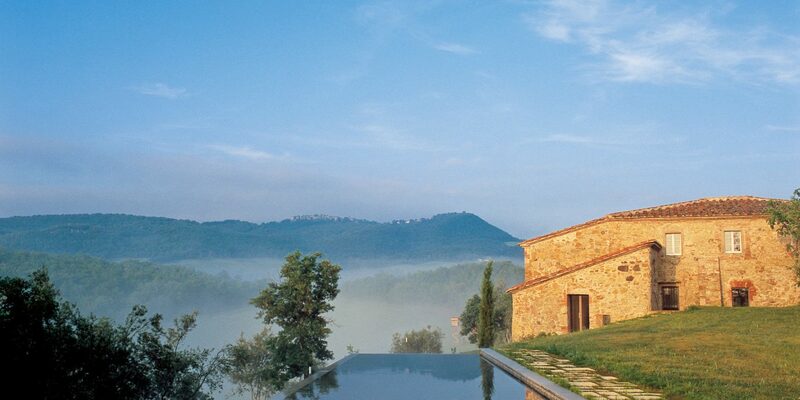 This hilltop Tuscan estate hides one of the world’s most unique sanctuaries—inside an original wine cellar. 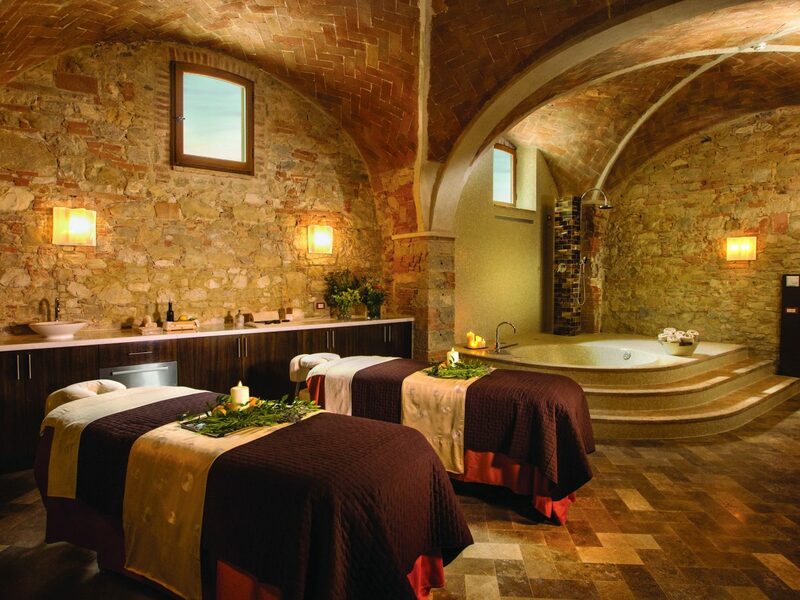 Barrel-vaulted ceilings and rustic stone walls set the tone for earthy treatments (mud wraps, exfoliations using organic plants) that incorporate local ingredients like rosemary, orange-infused olive oil, and grape—best enjoyed before calming strolls through the private outdoor garden. 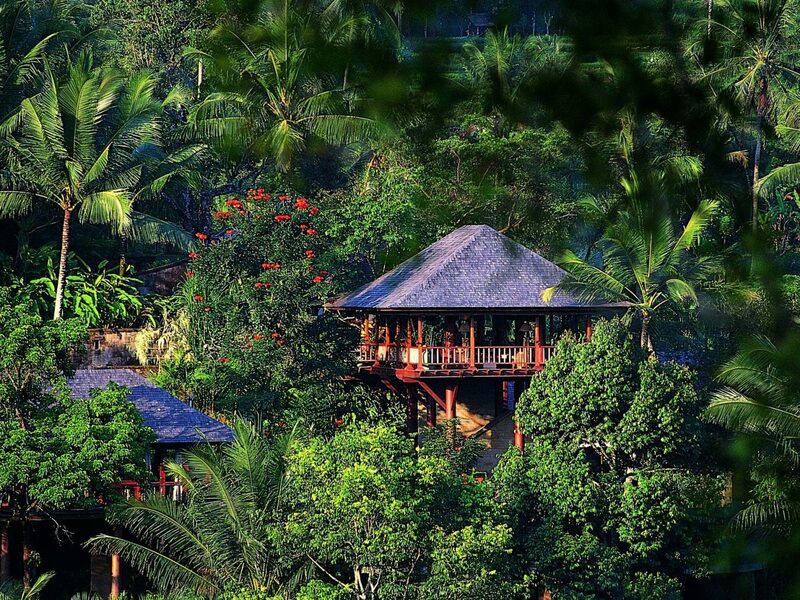 More intimate than its family-friendly sister property, Nayara Hotel Spa & Gardens, the adults-only Nayara Springs is the better option for those seeking a more tranquil jungle escape. Surrounded by thick Costa Rican rainforest, its 16 villas channel treehouse living with hammocks, open-air showers, private gardens, and views of the nearby Arenal Volcano. 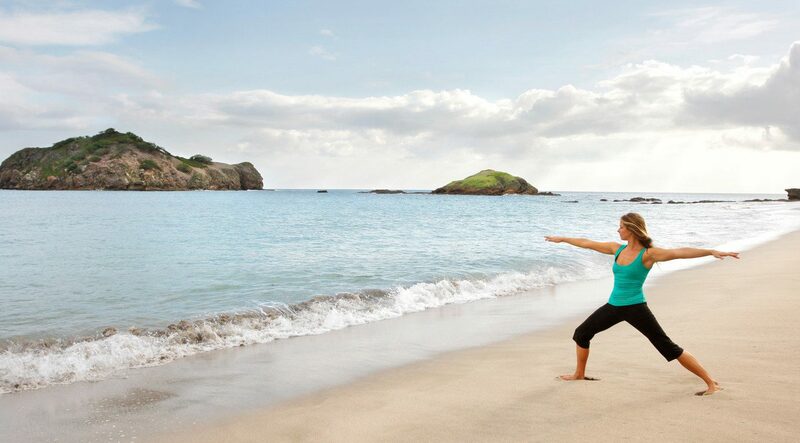 The serenity extends to the spa, where all-natural treatments incorporate volcanic mud, coffee, and clay and daily yoga classes are held in a leafy open-air pavilion. 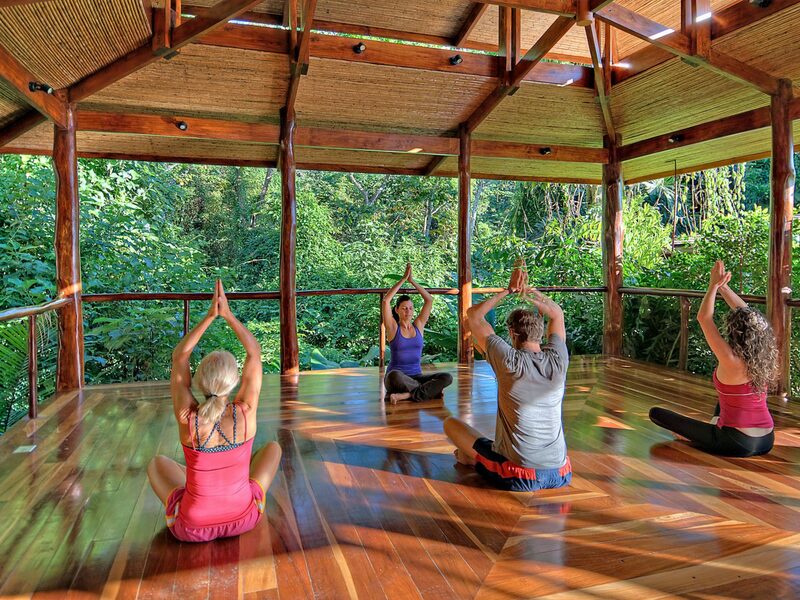 Perfect your downward-facing dog in the company of passing butterflies and the calls of howler monkeys. 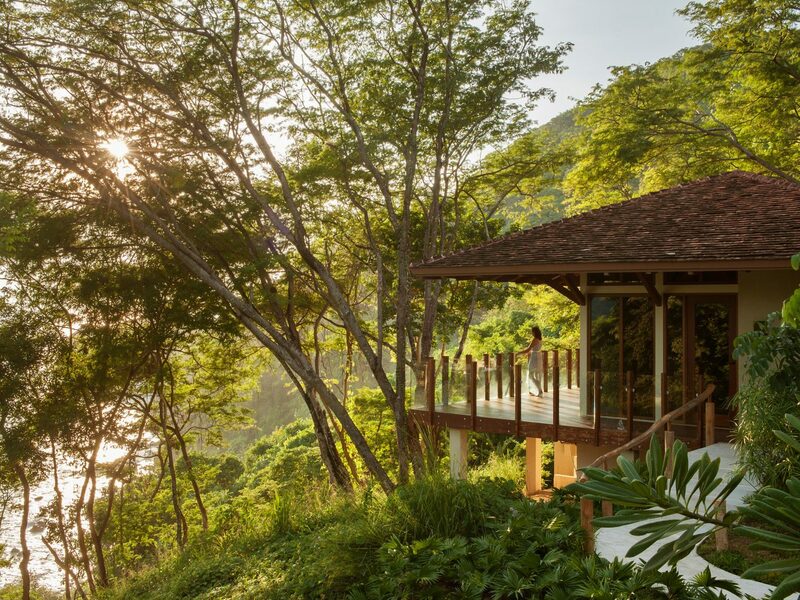 Nicaragua’s first five-star hotel is a doozy, made up of 37 cliffside bohíos and impeccably designed beach villas on an otherwise undeveloped stretch of coastline. 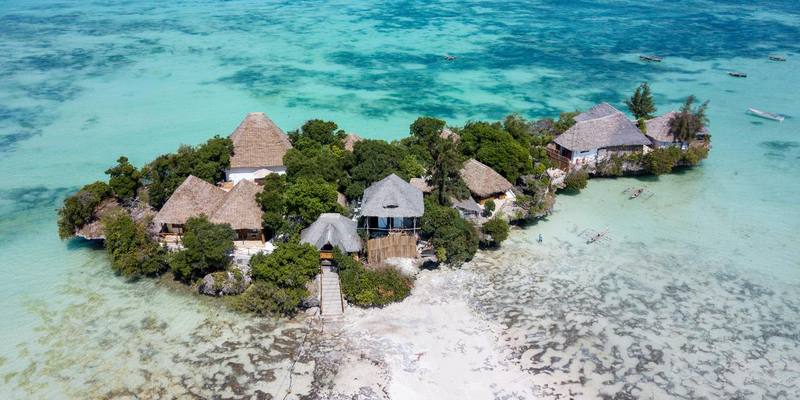 Castaway fantasies aside, our favorite feature is the spa, whose six individually designed standalone pavilions redefine the definition of privacy. 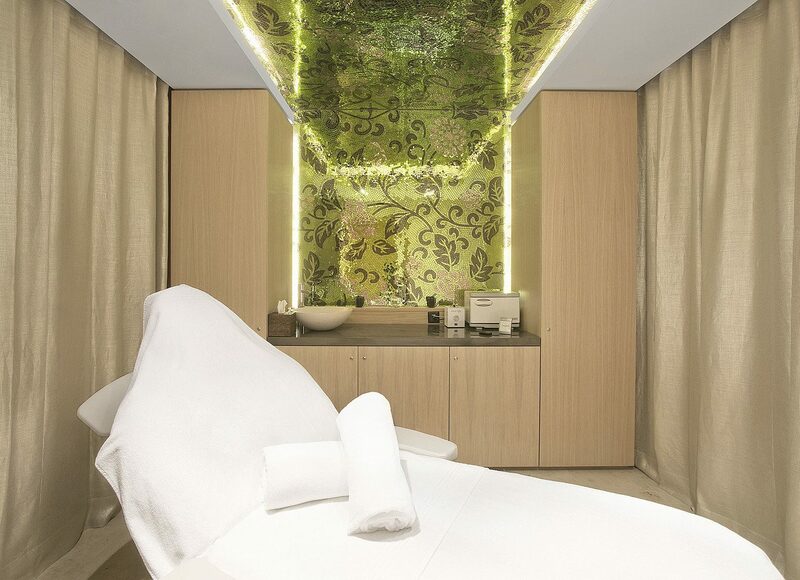 Guests are individually escorted to their space, where treatments, whose products incorporate local herbs and plants like turmeric and rice powder, start at a blissful three hours and can last up to the whole day. After taste of one (or more) of the different themed suites—“Asian fantasia” for Thai and Ayurvedic rituals; “Turkish hammam” for Middle Eastern scrubs—it’s time to return to reality, which we suggest easing into with a glass of Flor de Canã, the owner’s own slow-aged rum, at the restaurant. 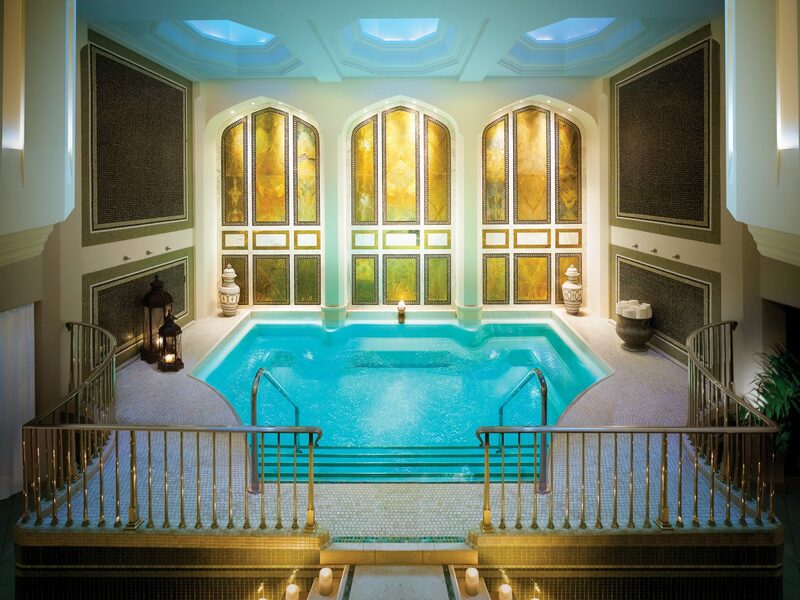 After a trying day on the slopes, nothing seems more appealing than relieving aching muscles at St. Regis Deer Valley's Remède Spa, a 14,000-square-foot bi-level sanctuary with its own blue mosaic whirlpool. Head up a spiral staircase to find 11 treatment rooms, where heated patios, black-and-white forest photography, and a candlelit relaxation room with its own fireplace set the tone for treatments that fight mountain-induced fatigue:eye treatments that zone in on sun-zapped eyes, hot stone massages that pinpoint sore muscles and counteract the chill, and regenerating oxygen facials that work wonders on chapped skin. Gel manicures are the cherry on top for an easy transition to après-ski schmoozing. Everything about the spa at Paris's landmark Four Seasons Hotel George V, an Art Deco grand dame famous for its ancient tapestries, rich fabrics, and classic French flair, takes cues from the hotel itself. You'll find illustrated wallpaper and 18th-century paintings in the treatment rooms and hand-painted Versailles gardens around the swimming pool. The pièce de résistance: “A Stroll Through Versailles,” a two-and-a-half-hour experience modeled after Marie Antoinette’s own beauty regimen, which includes an orange blossom body scrub and—yes—macarons.